The Elba Palace Golf & Vital Hotel is at one between nature and the many services it provides - a pleasure for the senses: Vital 5 star golf hotel, a golf course with stunning sea views, sculptured gardens, the sea breeze and the beauty of being on an Island where the average temperature is 23 degrees. 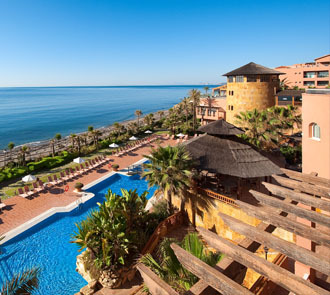 The Elba Estepona Gran Hotel & Thalasso Spa is a five-star beach hotel on the Costa del Sol. 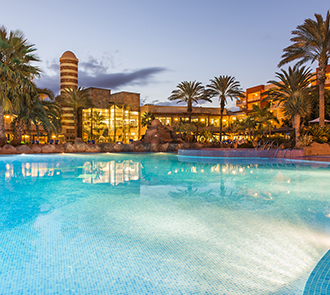 It’s one of the only five star hotels in Spain with an all-inclusive option available. Simply, a beach hotel filled with Mediterranean charm. All rooms have a balcony and sea views, with immediate access to the beach front. It’s also ideal for families with children, golf breaks, getaways with friends, business meetings or just to relax for a few days in the spectacular Thalasso Spa, one of the most awarded spas in Malaga by the experts. 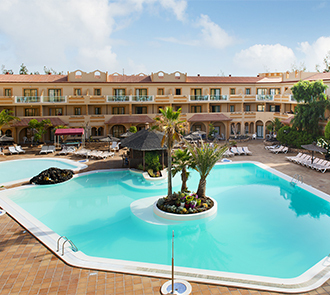 The Elba Vecindario Hotel is found Santa Lucía part of Gran Canaria, and close to its local sports facilities which include football fields, athletic tracks, and an Olympic-sized pool. The hotel Vecindario specialises in stays for sports teams who wish to take advantage of the mild Canary Islands temperatures for training. 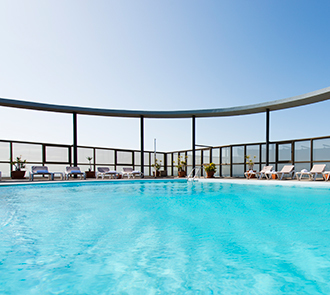 The Elba Vecindario is only 15 minutes from the beaches in the south, from Las Palmas, and close to the airport - totally equipped for a modern business hotel. With modern rooms equipped with all the little details that make a hotel stay an enjoyable experience. And a veritable operational base for your business activities: Our Business Centre has nine function rooms that can seat up to 670 people, ideal for all kinds of event from a business lunch in a private dining-room to large-scale meetings, conventions or conferences. This hotel has all the services and facilities to make your working time turn in to pleasure time. 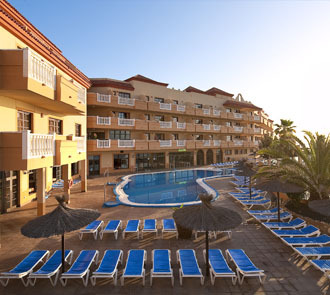 The hotel Elba Almeria is a business hotel suitable as a conference venue or for function room hire. It’s also an ideal leisure base for the Costa Tropical. 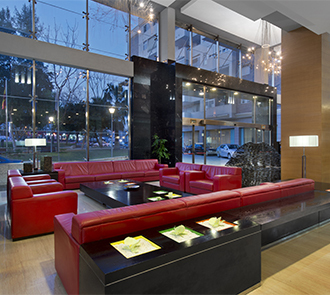 It has been created as a place in which to work and enjoy yourself, with 100 rooms designed for comfort. In front of the lively Poniente beach, the Elba Motril is ideal for your summer family holiday in one of the most popular areas of the Granada coastline. The gentle temperatures of the Costa Tropical also attract large company events which are held in our spacious meeting rooms. Right by the beach, on the coast of Cádiz and ideal for summer holidays with children. 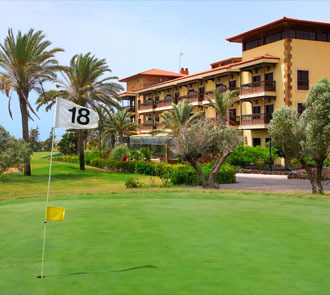 The Elba Costa Ballena is set on the picturesque Costa Ballena, to be enjoyed with your partner, group of friends, to play golf or simply relax with your family. Take your pick from a golf break playing on the 27 + 9 hole course designed by José María Olazábal, or indulge in the only Thalasso Spa in Cádiz using purified water straight from the Atlantic Ocean. 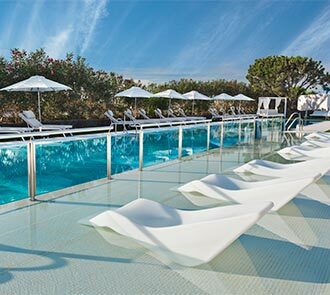 The Beach Club, with its typical Andalucian dishes and chill out atmosphere, coupled with children’s play areas and entertainment make the Elba Costa Ballena & Thalasso Resort an ideal place for your next holiday or short break. 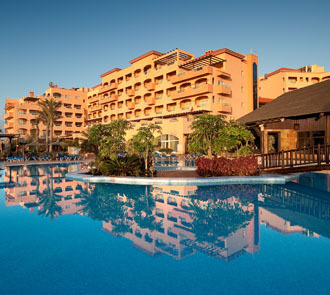 At just 8 minutes from the airport, near to the Fuerteventura Golf Resort and right next to 1km of pristine beaches, the Elba Sara Beach & Golf Resort is one of our all inclusive family resorts to make family holidays very special indeed. 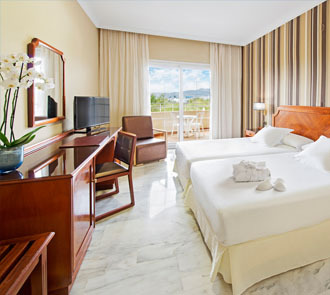 Positioned right in front of a relaxing beach, and protected from the waves by the natural coastline - where children can enjoy playing on the sand - is the hotel Elba Carlota Beach & Convention Resort. Located in Caleta de Fuste and only 500m from the Castillo beach and town centre, the Elba Castillo San Jorge & Antigua suite hotel has everything you need for your self catering holidays. The town centre boasts several shopping and leisure centres, while the beach offers a variety of water or beach sports. throughout the year. 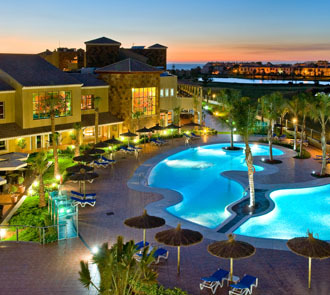 These Fuerteventura apartments with sea views are ideal for any season. The Elba Lucía, one of our suite hotels on Fuerteventura, is totally equipped for you to enjoy your self-catering holidays by the beach. It boasts a magnificent sports centre, ideal for family holidays or for relaxing after a hard day's work on the island, declared as a Biosphere Reserve by UNESCO. 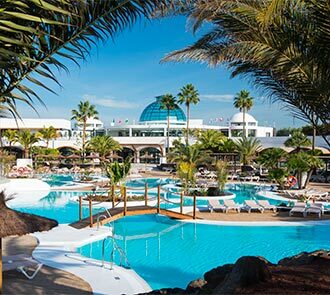 The Elba Lanzarote Royal Village Resort **** Sup, located on Playa Blanca is a complete holiday complex inspired by the culture of The Canary Islands with several garden areas, as well as plenty of facilities and services for both young and older guests. The hotel is found only 10KM from the Timanfaya National Park, 30 minutes from the Arecife International Airport and a 15 minute walk to Flamingo Beach. Elba Sunset Mallorca **** Located in a quiet residential area of Majorca just a few metres from the tourist area and prime location of Palmanova, luxury has been unveiled on a cliff between the sea and sky with unique views of the deep blue water of the Mediterranean Sea and the isle of SA PORRASA. An avant-garde hotel that combines modernity with design and offers a unique experience tailored to each visitor with a custom service that connects with your true self. Within easy reach of the main attractions and just a 15-minute metro ride to the centre. 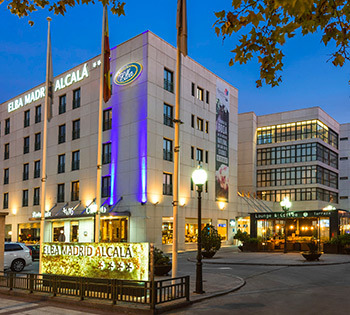 Situated in the bustling heart of the city, on the famous Calle Alcala, Hotel Elba Madrid is the perfect choice for everyone. Trust us, you’ll love it!